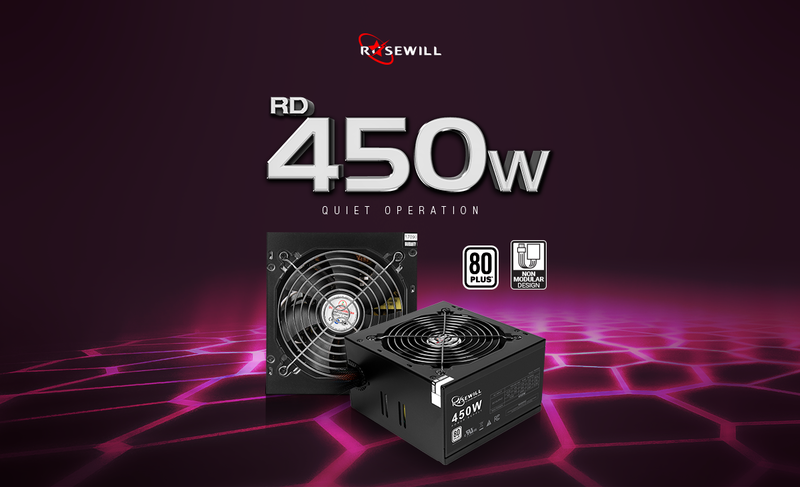 The RD 450 Watt computer power supply is 80 PLUS White certified and delivers up to 80% efficient performance under typical loads. 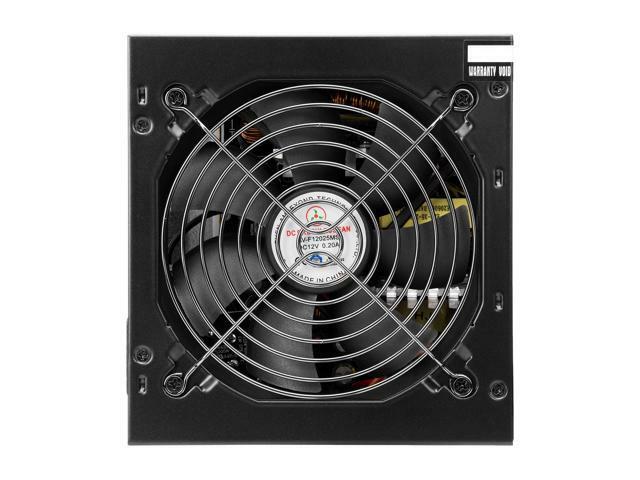 A 120mm fan with Smart Temperature Sensor delivers whisper-quiet cooling through fan speed adjustments in response to load conditions. Pros: Overall not a bad unit. It works well. Cons: My major issue is the length of the ATX connector - way too short. I'm using it with an Asus Z370 Prime mobo. The ATX connector is at the very top of the board, and the power supply is at the bottom of my case. It was a real challenge to route the cable around my video card and to the connector. Other Thoughts: Other than needing a couple more inches on the ATX connector this is a fine unit. Cons: Cooling fan failed after 2 years and started making lots of noise. Was on maybe 10% of the day. We are really sorry to hear that. Since this product is already over its 1-year manufacturer warranty, we apologize that we are unable to assist you with a new replacement directly. However, we do care about your feedback and will continue improving the quality of our products in future. We appreciate for your understanding. 1 out of 8 people found this review helpful. Did you? We are really sorry that your power supply is defective after 3 years and do understand your frustration; but this item is already over its 1-year manufacturer warranty; we do care about your feedback and will continue improving our products in future. Other Thoughts: - I would recommend if you need a replacement for a pre-built computer. If you are gaming, I would recommend a larger capacity (this one also only has a single 6-pin PCIe power connector) for future upgrades. No the hassle and expense of getting another. We are really sorry to hear that the power supply is not working out of the box and do understand your frustration; If the item is still within its 1-year manufacturer warranty, you could contact us to claim the warranty with your order invoice; We do care about your feedback and will continue improving our products in future. Cons: One of the first things I noticed was a very strong electrical smell. It smells strange. Did not work at all. Other Thoughts: Cheapest is not always best. I probably won't ever buy this brand power supply ever again. Other Thoughts: I thought I was dealing with a faulty Motherboard but after further diagnosing it was in fact this PSU. We apologize for the inconvenience you are experiencing with our product. We will gladly assist you with a resolution to your issue. Thank you for choosing Rosewill.